It’s hard to commit to a behavior change when you feel that you have too much on your plate. I hear this from clients all the time…”work is stressful right now so I don’t have the energy to cook” or “I don’t have time to exercise because I have too many other things to get done.” There are many more excuses, and I will admit that plenty of them have come from my own mouth. Recently, I came to the realization that in order to make positive changes, you MUST feel that there is a reason for doing it, i.e. eating better to manage diabetes or to lose weight or exercising to become stronger. For example, I never find it difficult to eat healthy because I feel a million times better when I eat well versus when I eat crap. And I can see my body changing and my strength improving with exercise, so of course I want to keep it up. As much as I love blogging, it is something that I have to devote major time and energy towards without necessarily seeing a major benefit (as in, more readers or revenue). Consequently, I don’t post often, which means my readership doesn’t improve, which means I continue to not make money off of my blog. Kind of a vicious cycle, no? Enter Blog Brûlée, also known as the kick in the pants, savior, inspirer and booster-upper that I’ve been seeking (okay, I haven’t gone yet, but I’m pretty confident that I’ll be saying these things — and then some — after the event). My attendance at the Blog Brûlée is/was partially funded by Sponsors of the Blog Brûlée (hyperlink to blogbrulee.com), and I received a discounted registration to the event in exchange for writing this post. Opinions expressed are my own. I was not compensated for my time. Blog Brûlée is an invitation-only, exciting, experiential weekend shared among a small, intimate number of healthy food bloggers and Registered Dietitian bloggers. The event is designed to provide education and professional development opportunities, as well as a forum for discussion and relationship building surrounding topics such as blogging and social media best practices, fundamentals of food photography, communication and marketing strategies, community niche development, brand identity and monetization. GET INSPIRED by like-minded bloggers, who are at all stages of their blogging journeys. There are truly some fantastic attendees going this year, who have already inspired me through their gorgeous photos, clever writing and delicious recipes. I CANNOT WAIT to meet these amazing ladies in person. 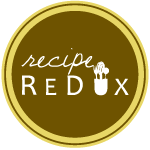 LEARN how to monetize my blog, take more captivating photos and communicate my food and nutrition knowledge to readers in a more engaging way. But none of this would be possible without the masterminds behind Blog Brûlée. They are four amazingly talented women who continue to inspire me as a dietitian and [novice] food blogger: Regan Jones, RD (Healthy Aperture, The Recipe ReDux and RDs4Disclosure) Gretchen Brown, RD (kumquat), Deanna Segrave-Daly, RD (Teaspoon Communications) and Robin Plotkin, RD (Robinsbite). There are also some fantastic sponsors, for whom I’m very thankful and with whom I’m incredibly excited to interact. In fact, I don’t think I could have chosen better sponsors myself. I am a huge supporter of them all and feel completely confident promoting their brands. They all represent REAL FOOD, which is my number one nutrition motto (#JERF).